As they say in the theme song of The Jeffersons, I’m "movin’ on up." Not to a deluxe apartment in the sky -- I already have that, although the "deluxe" part is up for serious debate. I’m movin’ on up to an external digital-to-analog converter so that I can upgrade the performance of my stereo system and finally take the plunge into computer audio. 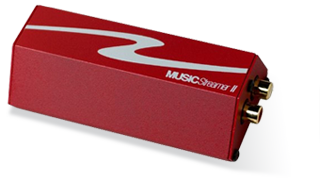 When I was asked to review the Music Streamer II USB DAC from High Resolution Technologies (HRT), I was game. Doing the review would be a great way to listen to computer audio files until my shiny new DAC arrived. The Streamer II costs only $149.95 USD and can output 24-bit/96kHz sound. Those facts were more than enough to capture my attention. Nor was it lost on me that reviewing a Lilliputian (it fits in the palm), featherweight DAC would be a lot easier than reviewing a 150-pound power amp. When I spoke to Scot Markwell of Elite AV Distribution, HRT’s US distributor, he was so confident of the Music Streamer II’s sonic abilities that he offered to also send me any one of a number of competing DACs for comparison, some of which cost more than five times the MSII’s price. Impressed, I accepted his offer, and asked that he send me the slightly larger but still tiny Proton USB DAC from Wavelength Audio. The Music Streamer II can convert digital audio files encoded at up to 24-bits/96kHz into an analog signal via programs like Apple iTunes or Windows Media Player. As its name implies, it can also convert streaming digital audio from an Internet-based radio or subscription service. Most USB DACs, including HRT’s own original Music Streamer, are adaptive mode audio converters. 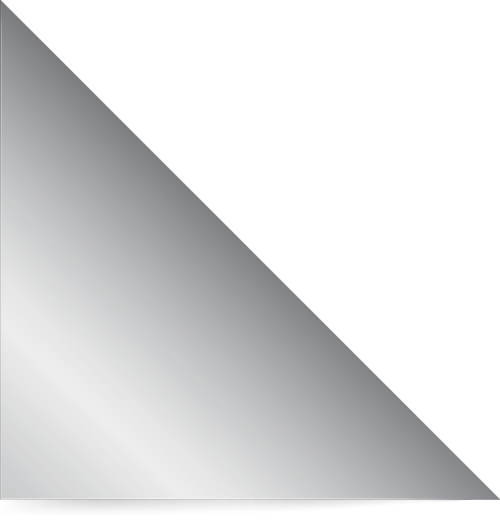 In such a device, the word clock in the computer controls the transfer of digital packets (data) to the DAC, and the DAC must do its best to match the rate at which it receives those packets. For many reasons -- including that the computer must simultaneously accomplish numerous other tasks and that its clock is not necessarily of high quality (i.e., not low-jitter) -- many people believe that true high-end sound cannot be obtained from a computer by an adaptive-mode device. The MSII, however, is an asynchronous mode audio converter. This means that a low-jitter clock in the DAC itself controls the transfer of data from the computer. 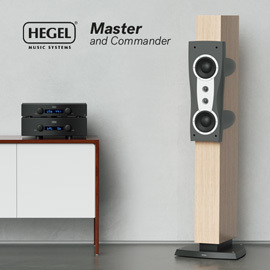 According to HRT, the MSII provides a signal path from computer to audio system that is kept isolated from contamination by the radio-frequency interference (RFI) and electromagnetic interference (EMI) that occurs when the computer’s internal DAC is used. HRT claims greater than 20 megohms’ worth of this isolation. 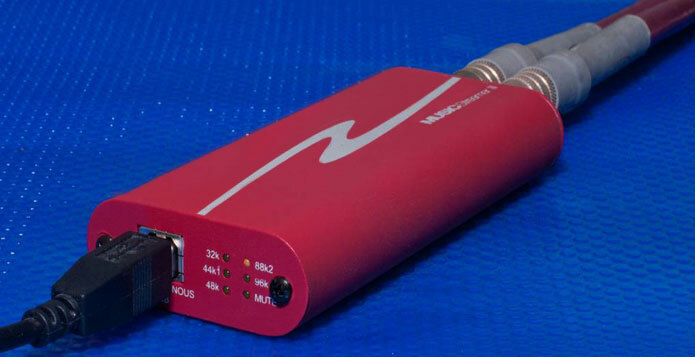 Unlike some external DACs, the MSII comes with neither an internal nor an external power supply. Rather, it derives its power from the computer’s USB bus, and internally regenerates such power for its own use. The MSII’s red chassis of extruded aluminum measures only 4.1"L x 2.1"W x 1.2 thick". Not seeing the model’s weight listed anywhere in HRT’s literature, I asked Markwell to weigh it. The figure he came back with was a mere 3.2 ounces. Most asynchronous-mode DACs, if not all, are far more expensive than the Music Streamer II. When I asked Scot Markwell how HRT was able to keep the price so low, he replied that because Kevin Halverson, who designs HRT products and is one of the company’s principals, wrote his own asynchronous data-transfer protocol. HRT -- unlike some other manufacturers -- didn’t have to pay a licensing fee to use someone else’s code. The Music Streamer II is HRT’s least-expensive DAC. Also available is the Music Streamer II+ ($349.95), which is very slightly larger and, HRT claims, generates even less noise. Setup couldn’t have been much easier. Using a Tesla Tricon USB cable from Synergistic Research, I connected the Music Streamer II’s input to a USB port of a Windows-based laptop (the MSII also works with Macintosh operating systems), and its output to a pair of Synergistic Basik interconnects plugged into the inputs of my NuForce P-9 preamplifier. My media player was foobar2000. The latest HRT Music Streamer II comes in a new chassis that includes LEDs for sample-rate readout. The first digital file I played through the Music Streamer II was guitarist Earl Klugh’s acoustic, Brazilian-influenced interpretation of Thelonious Monk’s classic "Bye Ya," from Klugh’s The Spice of Life (16/44 FLAC, Koch/HDtracks). I laughed. How could that tiny tot pump out such a grandiose soundstage? Klugh’s acoustic guitar, Jeff Cox’s bass, and YonRico Scott’s drum kit spanned the room, practically from wall to wall. I was also struck by the MSII’s relative quietness. In "Au Lait," from Pat Metheny’s atmospheric Offramp (CD, ECM 1216), drummer Dan Gottlieb makes liberal use of his cymbals. The HRT’s surprisingly low noise floor permitted decays to linger to an impressive degree. This had me wondering what the MSII+, which HRT claims has an even lower noise floor, could do in this regard. Of course, the $164,000 question was what the MSII could do with high-resolution source material. With "Concerto for Bassoon and Orchestra, 3rd Movement," from Chesky’s The Ultimate Demonstration Disc, Volume 2 (24/96 FLAC, Chesky/HDtracks), the MSII revealed the uniquely throaty tone of this large double-reed instrument. Percussion transients were fast, crisp, and convincing. In "Trampled Rose," from Robert Plant and Alison Krauss’s Raising Sand (24/96, Rounder/HDtracks), Krauss reaches high into the upper portion of her comfortable vocal range. The MSII rendered her voice in a smooth, pleasing way. For a $150 device, there was relatively little compression and a respectable amount of high-end air. None of which was what I’d expected to hear from the budget-priced Music Streamer II. In fact, my listening revealed that this product can be paired with significantly more expensive gear and not be embarrassed in the least. So far, so good. But this review would not have been complete had I not also auditioned the MSII’s ability to stream audio from the Internet. While I don’t subscribe to an Internet-based music service, plenty of radio stations stream free content on the ’Net. I headed straight to Trance Euphoria 2010, which streams out of Caerphilly, Wales, in the UK. The HRT’s performance while playing music streamed from my laptop via a wired connection was pretty stable. I heard no dropouts during my two-hour listening session with Trance Euphoria 2010. Going wireless was a different story -- the number of dropouts, even with the Music Streamer II connected, made the station generally unlistenable. Sticking with a wired connection, I discovered that the quality of the streamed signal with the laptop connected to the MSII was, well, pretty shabby. However, it was certainly much better than if I’d connected a pair of computer speakers to my laptop. This poor showing was undoubtedly due to the fact that the station streams at a paltry data rate of 64kbps. If you pay about $6 per month (I don’t), the data rate is increased to some unspecified level that gives you "higher-quality sound." As the data rate increases, I would well expect the Streamer II’s performance to increase also. Curious about how the Music Streamer II might perform without a preamp, I gave it a try, expecting to rely on the digital volume control in my Windows software. It was not to be -- that control was rendered inoperable when I connected my laptop to the MSII. According to Scot Markwell, the HRT disables this control by default because, at low volumes, many digital controls themselves drop bits and cause a loss of resolution. The MSII automatically pegs the control at its maximum level. Luckily, I was able to adjust the volume by using the digital control of the Foobar2000 player. 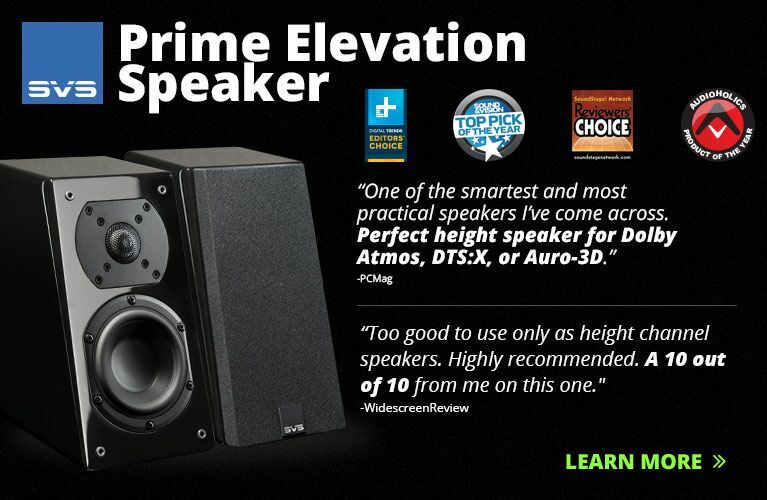 If you try this, be sure to first set any such volume control to its lowest level so you don’t trash your speakers. Flying preampless, I then turned up Foobar2000’s volume control as far as I was comfortable with. The sound quality was great, and in a few respects, such as dynamic range, was even better than with the preamp in the loop. Markwell told me that, sans preamp, I could connect a pair of headphones directly to the MSII with an RCA-to-mini-jack adapter, but that if I did this, I’d have to use reasonably sensitive headphones. But I’m not really a headphone guy, so I didn’t try it. Not surprisingly, especially in light of its price, the Music Streamer II could fully resolve neither the very-low-level details nor the highly subtle tonal shifts in the acoustic-guitar chords on Badi Assad’s Solo (16/44 FLAC, Chesky/HDtracks). Additionally, the MSII’s midrange was surprisingly sweet for the cost of admission, but didn’t offer the intoxicating midrange liquidity of some higher-end gear. And at no time did I hear the warmth and richness often exhibited by good tube equipment. Further, while the HRT’s soundstage was horizontally unrestrained and exhibited admirable imaging, soundstage depth was noticeably lacking. With Earl Klugh’s cover of "Bye Ya," for example, despite the MSII’s impressive horizontal reach, the track didn’t exhibit the layering of images that I’ve heard from it on other occasions. But overall -- and to a surprising extent when fed well-recorded 24/96 files -- the Music Streamer II kept pace with my Marantz UD9004 BD player (modified by Tube Research Labs). However, with exceptional-sounding SACDs and "Red Book" CDs, the Marantz outclassed the MSII, delivering sound that was far more detailed, dynamic, and refined. As the Marantz costs approximately 60 times the price of the HRT, this can be seen only as a ringing endorsement of our little red aluminum friend. Of course, none of these criticisms is even the slightest bit fair: The Music Streamer II was never intended to be the last word in digital audio reproduction. Rather, it’s about fun, and introducing non-audiophile friends to a world in which their digital audio files sound better than they’ve ever heard them. Taking advantage of Scot Markwell’s invitation to compare the Music Streamer II to a more costly USB DAC, I now turned to Wavelength Audio’s Proton ($900). While significantly larger than the MSII, at 5"L x 4"W x 2.25"H the Proton is still no colossus. Like the MSII, the Proton is asynchronous, and has a single USB input and a pair of stereo RCA outputs. However, the Proton provides some features that the HRT does not. First, it directly obtains power from the USB bus only for certain functions. For a number of critical areas, such as its DAC chip and headphone outputs, it uses a lithium-ion battery that charges whenever the computer is inactive or off. Second, the Proton doesn’t disable the Windows volume control. If you adjust that control, the Proton resets to the new setting its own internal analog volume control for its headphone and line outputs. Third, the Proton has LEDs on its rear panel (of all places) to indicate the bit rate and sampling frequency of the source file. Finally, in addition to RCA outputs, the Proton has a headphone output. This permits the simultaneous use of headphones and a preamplifier without requiring an adapter. Those additional features aside, I found that the sound of the more expensive Wavelength Proton was more sophisticated and refined than that of the HRT Music Streamer II. Joel Frahm’s saxophone on jazz singer Beat Kaestli’s Invitation (24/96 FLAC, Chesky/HDtracks), for example, while very pleasing through the MSII, sounded more complex and reedy through the Proton. At the end of the day, both DACs sounded as if they cost far more than they do. While I can’t imagine anyone being downright unhappy with either purchase, the Proton would be more at home in a higher-end system. But in terms of sheer value for not many bucks, the HRT Music Streamer II wins hands down. Technophiles will be amazed that the Music Streamer II makes good on High Resolution Technologies’ promise to bring asynchronous-mode, 24-bit/96kHz computer audio to the masses. Those on low budgets will appreciate that it’s an absolute steal for $149.95. Everyone else can simply revel in the fact that the MSII sounds great, and provides more fun than the time neighbor Bentley accidentally dropped his ant farm in George Jefferson’s living room. Highly recommended for those looking for an inexpensive DAC that can decode hi-rez files.